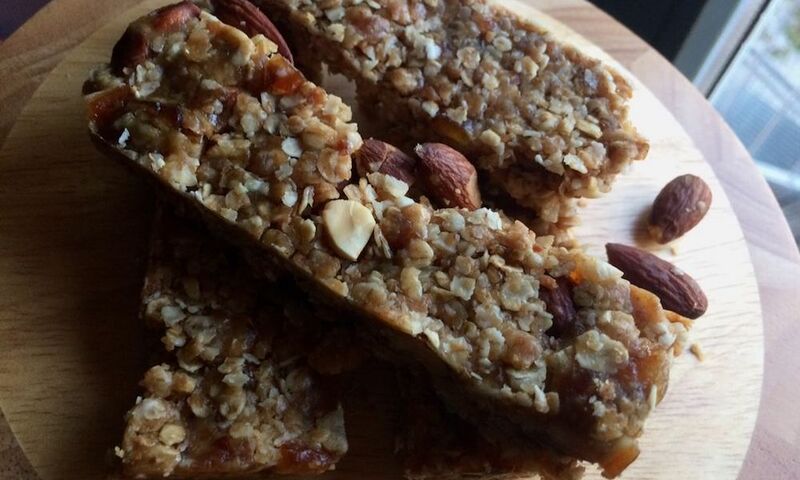 Here's how to make Vegan Granola Bars within 15 minutes, so that you always have a snack with you. Chop dates into small pieces, then add to your mixing bowl with the almonds and rolled oats. 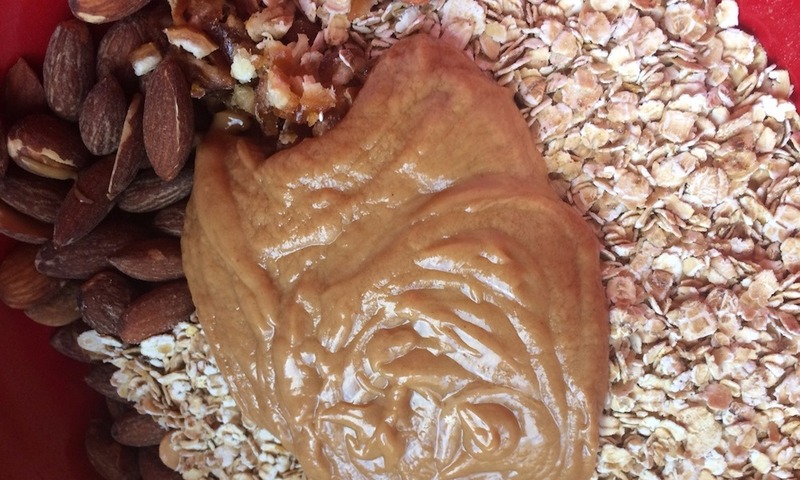 Place peanut butter and the agave syrup in your cooking pot and heat over low/medium heat. You should constantly stir the mixture otherwise it will stick to the bottom. After 1 minute, remove from heat, pour over the dry ingredients and mix it. 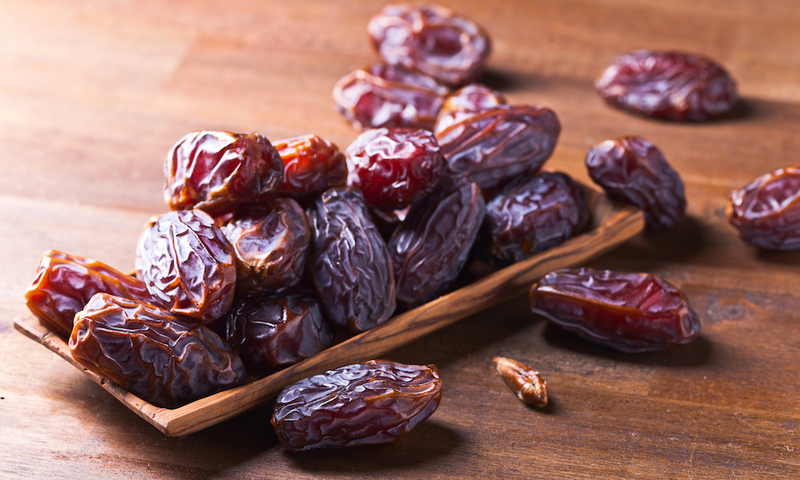 Make sure to disperse the dates, otherwise the mixture won't stick together later on. Once mixture is combined, line a baking dish with baking paper (or aluminium foil). Spoon mixture into baking dish and flatten with your palm until the mixture forms a thin layer. Cover and place in the fridge for 20 minute. Take it out of the fridge and put it on the chopping board. Then cut it into pieces. Now you have a quick work or school snack for when you're on the go!